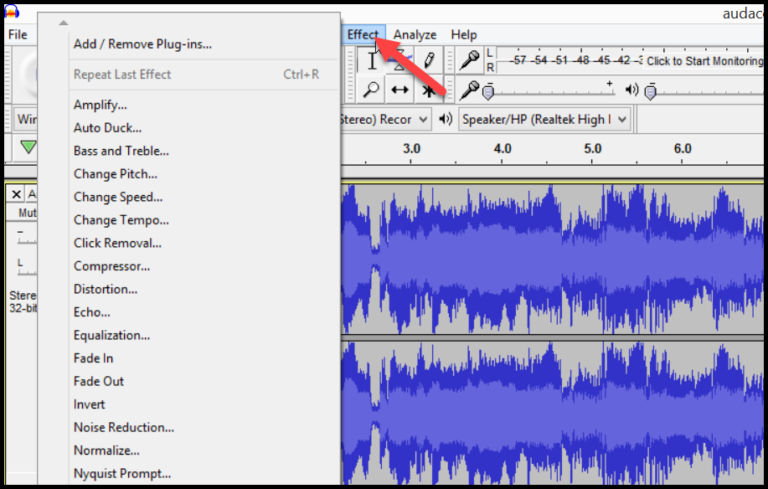 If you have an audio file saved in your PC and you want to add more effects to it you can easily do this by using Audacity because it is not just for recording but also an amazing editing tool. Audacity is not just for recording, it is also a great editing tool for your sound projects. We have mentioned the steps you need to import and edit an audio file. First of all, you have to import the audio file you want to edit into the Audacity. There are four ways on how you can import your audio file into Audacity. You can drag and drop the audio file into the Audacity. You can drag and drop the file into the Audacity icon if you have it on your desktop. You can find your file using File > Open command. You can import your audio file by selecting File > Import > Audio tools and open the file in Audacity. After importing the file into the Audacity, you can then edit the audio. You can use Transport toolbar to play, pause, stop and skip your audio file while you are editing. You can use the Edit toolbar to cut, trim and duplicate a certain part of the audio. If you want to add some audio effects in your audio file, click the Effect menu and find the specific effect you want to put in your file. There are some effects that need you to select parameters while some automatically add when you click on them. If you added a wrong effect or did some mistake in, you can undo your work by clicking the Undo button, or press Ctrl+Z.